New Zealand boxer Joseph Parker says he is in advanced talks with Anthony Joshua over a UK fight in March. Parker expects the fight to happen but claims the two parties disagree over finances. Parker wants more money than Joshua’s team has offered. Three heavyweight world title belts could be on the line if Parker and Joshua come to an agreement. WBO world heavyweight title holder Joseph Parker is confident that his next bout will be a unification fight against IBF and WBA champion Anthony Joshua. 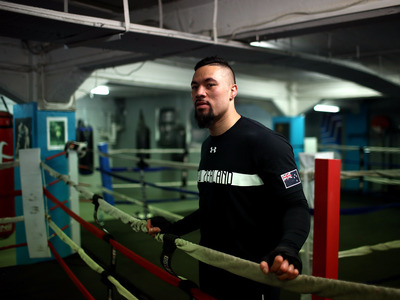 The New Zealand power puncher has said the fight is “close,” will likely go ahead in March, and that he is “excited” to showcase his skills in the UK for a second time having beaten Hughie Fury in Manchester in September. 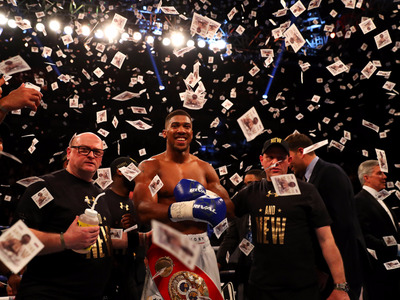 For the fight to be formally announced, Parker and Joshua’s promotional representatives – David Higgins of Duco Events and Eddie Hearn of Matchroom Boxing – will need to agree on the purse split. The purse split is determined before an event is confirmed so there is transparency over the money allocation each team receives on fight night, regardless of who wins and who loses. Parker is gunning for a 35% split of the purse, with the more popular fighter Joshua earning the remaining 65%. But this is not good enough for Joshua, according to Parker. Getty ImagesParker wants to be paid more before he agrees to a March fight with Joshua. “They’re stuck at 30%, we’re stuck at 35, so it’s just finding the middle ground,” he said. “We’ll take 35%, which means Joshua will take 65, which is nearly double me.